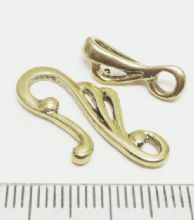 Toggle clasps and Hooks in Silver and Gold. 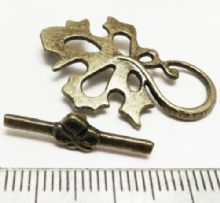 See under 'Findings' for other styles of clasps. 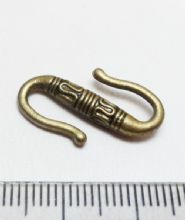 'S' Hook Antique Bronze x 5. Style 2 . 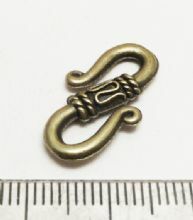 22mm. 'S' Hook x 5. 22mm. Silver. Flower toggle large. 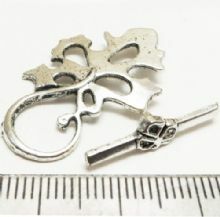 16mm. Pack of 5. 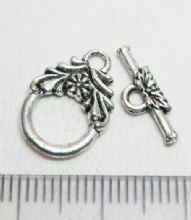 Flower toggle small. 11mm. Pack of 10. 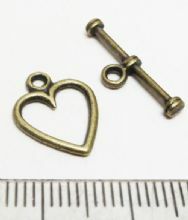 Heart toggle x 10. 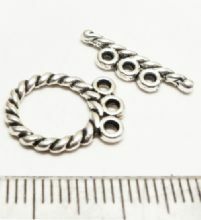 14mm x 11mm. Bronze. 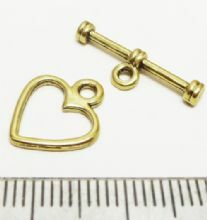 Heart toggle x 10. 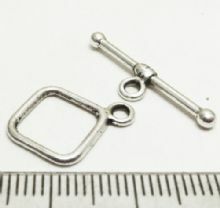 14mm x 11mm. Gold. Leaf toggle x 3. 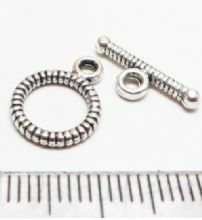 30mm x 20mm. Silver. Ring Toggle x 10. 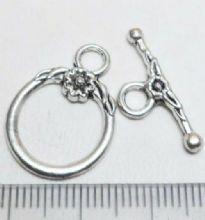 12mm diam. Silver. 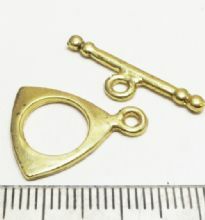 Tibetan Style Gold Triangle Toggle/bar x5. 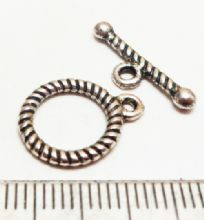 15mm. 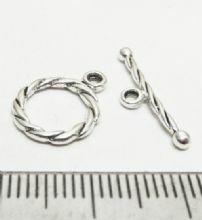 Tibetan Style Silver Dot Charm Toggle/bar x6. 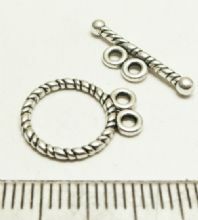 20m x 11mm. 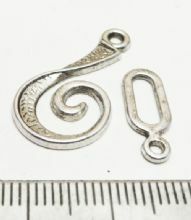 Tibetan Style Silver Spiral Toggle/bar x10. 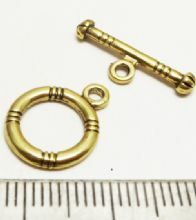 11mm diam. 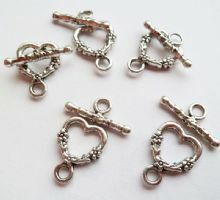 Tibetan Style Silver Square Toggle/bar x6. 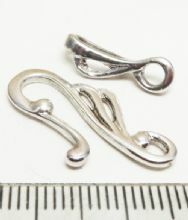 Tibetan Style Silver Swirl Toggle/bar x 4. 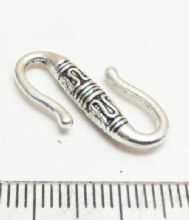 Tibetan Style Silver Twist Toggle/bar x10. 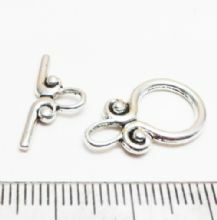 16m x 2mm. 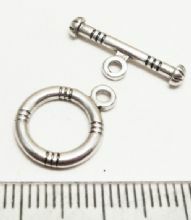 12mm diam.